Let him or her know they're your #1 by presenting this fun Engraved Keepsake on Valentine's Day or just because. 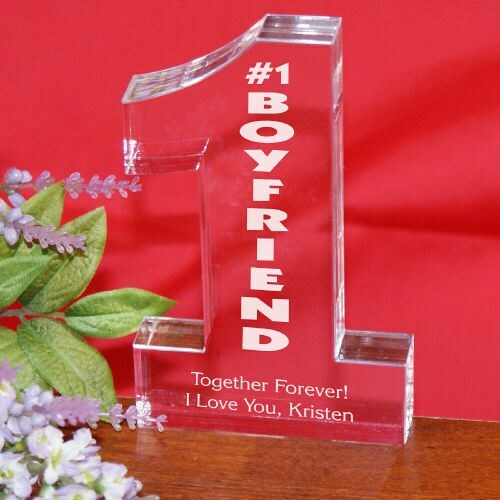 Your exquisite clear Personalized #1 Keepsake stands 5" with edges measuring 1" thick. Includes FREE Personalization! Makes a great Personalized Valentine's Day Gift for Her or Him. Personalize your Keepsake with any title and up to 3 lines of custom message. Additional Details Personalized Keepsakes from the Heart are always well received on Valentine's Day. 800Bear.com offers a wide selection of Personalized Valentine's Day Gifts that are perfect for your sweet love. We also offer a great selection of Valentine's Day bears to make your day even more special.